PHEN P-375 is a thermogenic fat burner and appetite suppressant for men and women. If the marketing material is to be believed, the formulation has the power to encourage rapid weight loss without the need for diet and exercise. The claims made for the product are many, but no proof is supplied to back them up and we were unable to find out anything about the company that produces PHEN P-375 . Green coffee bean extract (50% chlorogenic acid): Most coffee beans are roasted because the process brings out the flavour of the bean. But it also destroys an important compound called chlorogenic acid. Green beans have not been roasted, so the the chlorogenic acid remains. It’s a powerful natural fat burner and can further assist weight loss by helping to keep blood sugar levels in check. Garcinia cambogia (50% HCA): An ingredient sourced from a tropical fruit. The active ingredient is a compound called hydroxycitric acid (HCA), found in the rind. It has the ability to disrupt the normal function of a specific enzyme (citric acid lyase) and this results in a condition where the body cannot metabolise carbohydrates as efficiently as normal, so they are less likely to contribute to weight gain. HCA is also an appetite suppressant, but most experts say good results require the HCA content be at least 60% and this ingredient used here is considerably less potent. Green tea extract (tea polyphenol 50%): The vast majority of diet supplements contain green tea. It is a very popular ingredient, and with good reason. It has the power to speed up the metabolism and encourage thermogenic fat burning. This is a fact that has been proved by numerous studies. The American Journal of Clinical Nutrition published the results of one study and the results of numerous other clinical trials are equally supportive. Raspberry ketone: An ingredients that can be sourced from raspberries and certain other fruits. 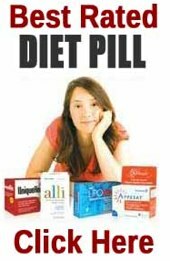 It is as well respected for its appetite suppressing abilities as it is for its prowess as a fat burner, but it is an expensive ingredient to refine so many diet pill manufacturers opt for a cheaper man-made version and it lacks the power of genuine raspberry ketone. 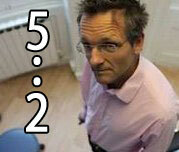 The manufacturer fails to state which version is used in the PHEN P-375 formulation. Glucomannan: A natural fibre sourced from the roots of the konjac plant. It has the ability to absorb large quantities of moisture and this causes the fibres to expand. When this occurs in the stomach it creates a feeling of satiety. Glucomannan is a powerful appetite suppressant, but it seems unlikely that a formulation such as this will contain a sufficient amount. African mango: African Mango is often added to diet supplements because it is believed to be an appetite suppressant, but there has been an insufficient level of human-based studies and some experts have raised doubts about its ability to perform in the way diet pill manufacturers claim. Grapefruit extract: Many citrus fruits possess some level of appetite suppressing ability. Grapefruit is no exception and it also contains a flavanoid (naranginin) that is believed to have value as a metabolism booster. Acai berry extract: A potent source of antioxidants. Acai can enhance and protect the health in numerous ways and is always a good ingredient. It also has a reputation as a fat burner and appetite suppressant, but good results will depend in an adequate inclusion rate. Apple cider vinegar extract: An ingredient that is credited with many abilities and may be able to encourage modest weight loss, but an article published at WebMD suggest any benefits are likely to be short-lived. How to Take – Two capsules should be taken 30-60 minutes before meals and washed down with 8oz of water. No other information is provided. The manufacturer does not mention if any side effects have been reported, but they suggest all potential users consult a doctor before using PHEN P-375 or commencing a weight loss program. A 1-year money back guarantee is promised, but no information is provided about the claims process. PHEN P-375 is only available via Amazon.com and the price is $39.97 (£27.75) for a 60 capsule bottle. 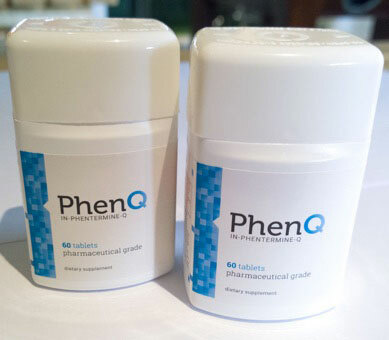 We highly recommend PhenQ – a product that has lots clinical evidence to support its claims and is sold through it’s own official channel where it offers it’s customers a 60 day money back guarantee as well as free worldwide shipping. The product itself has multiple benefits; a fat burner, fat blocker and appetite suppressant. It can also safeguard against fatigue and has a detox agent within it’s formula.